When Me meets the Gujarat chief minister to seek his permission to make a film on his achievements, he is bowled over by Modi. The networks are announcing the BJP’s endorsement of Modi as their prime ministerial candidate for the 2014 general elections. Armed with a letter from the CM’s office indicating his support for the film, Me resolves to highlight the machinations against Modi. 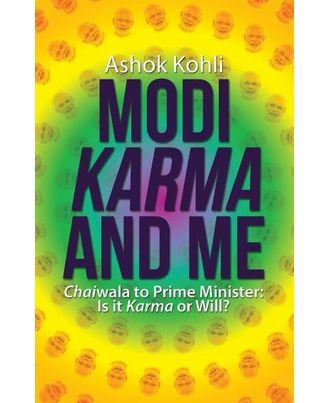 As Me, a filmmaker out to resurrect his career, begins research for his project is moved by the character of Modi and what results is the essay on ‘Karma or Will’. 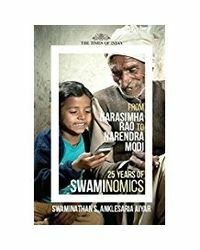 Me describes Modi’s life – quoting his readings – to the narrator and wonders how Modi, who had a difficult childhood could have become who he is, while Me himself, better endowed comes to naught. The conclusion: Modi was able to overcome the insurmountable hurdles put on his path by Karma by exercising his Free Will and an action-oriented life. 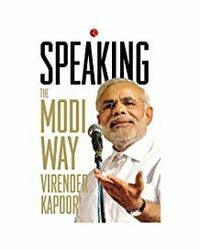 This book is for those who believe that the collective will of India’s citizens can be harnessed towards a common Karma of reaching the country to its rightful place among all nations. A lawyer by profession and a filmmaker by choice, Ashok Kohli has authored a collection of poems titled “Random Thoughts” and short stories, both of which are to be published soon. Besides having written screenplays, he has written and directed a short film, titled “Supari” decrying female foeticide and also a feature film “Rajdhani Express” which was released in January 2013. Kohli is presently working on a philosophical work, “A Glimpse of the Creator” as deduced from the reading pertaining to popular science and Vedic treatises. About the Book : 13 September 2013. When Me meets the Gujarat chief minister to seek his permission to make a film on his achievements, he is bowled over by Modi. The networks are announcing the BJP’s endorsement of Modi as their prime ministerial candidate for the 2014 general elections. Armed with a letter from the CM’s office indicating his support for the film, Me resolves to highlight the machinations against Modi. As Me, a filmmaker out to resurrect his career, begins research for his project is moved by the character of Modi and what results is the essay on ‘Karma or Will’. 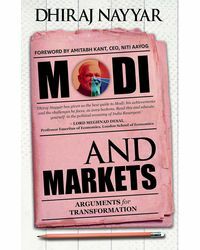 Me describes Modi’s life – quoting his readings – to the narrator and wonders how Modi, who had a difficult childhood could have become who he is, while Me himself, better endowed comes to naught. The conclusion: Modi was able to overcome the insurmountable hurdles put on his path by Karma by exercising his Free Will and an action-oriented life. This book is for those who believe that the collective will of India’s citizens can be harnessed towards a common Karma of reaching the country to its rightful place among all nations. About the Author : A lawyer by profession and a filmmaker by choice, Ashok Kohli has authored a collection of poems titled “Random Thoughts” and short stories, both of which are to be published soon. Besides having written screenplays, he has written and directed a short film, titled “Supari” decrying female foeticide and also a feature film “Rajdhani Express” which was released in January 2013. Kohli is presently working on a philosophical work, “A Glimpse of the Creator” as deduced from the reading pertaining to popular science and Vedic treatises.